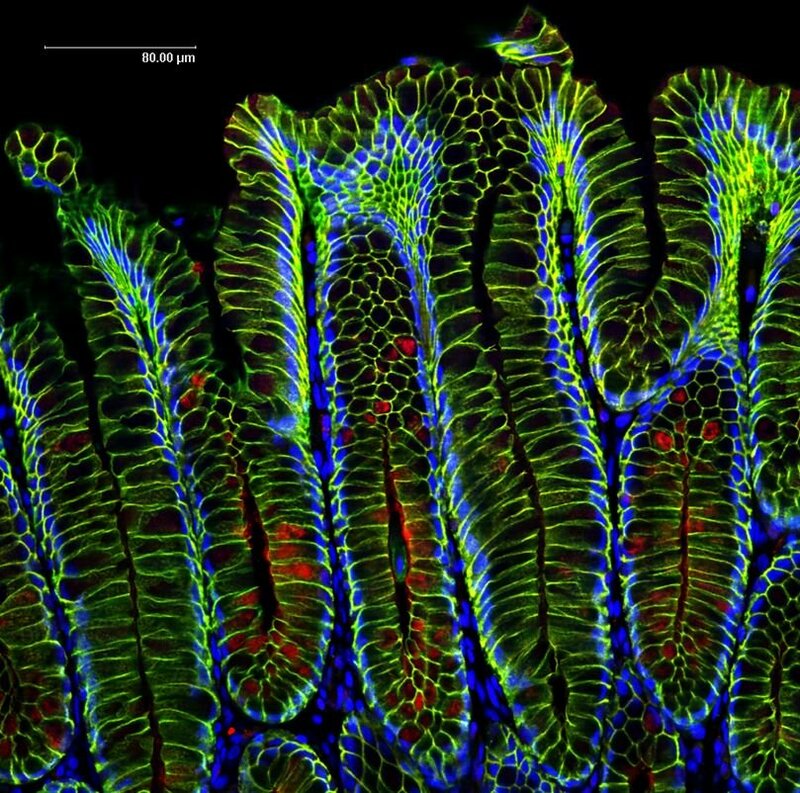 Advances in imaging techniques now enable us to see cells in exquisite detail. This has not only increased what researchers can learn about cells’ development and behaviour, but has also resulted in the production of some images beautiful in their own right. Here we take a look at a few of our favourite cell images from the past year. 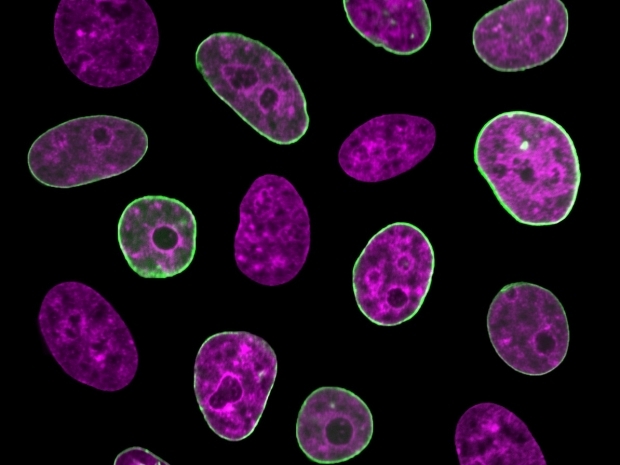 A team of scientists from New York University used a state-of-the-art fluorescent microscope to observe human cell nuclei. They discovered that the nuclear envelope flickers over a period of a few seconds, and changes during the cell cycle. Human cell nuclei with fluorescently labeled chromatin (purple) and nuclear envelope (green). Credit: Fang-Yi Chu and Alexandra Zidovska, Department of Physics, New York University. Bumsoo Han, Professor of Mechanical and Biomedical Engineering at Purdue University revealed secrets of ‘en masse migration’ of fibroblasts, demonstrating how they cooperate to deform the matrix. 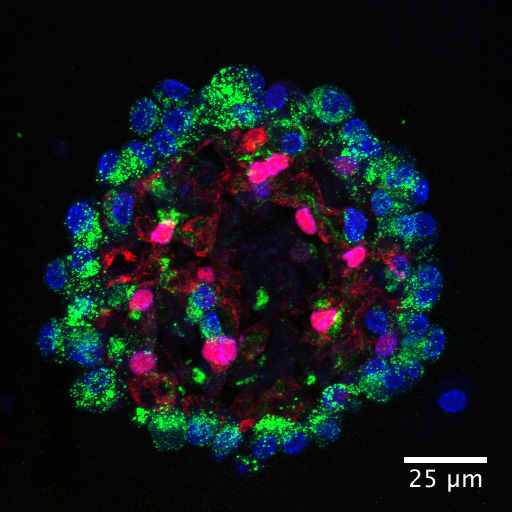 Researchers from the University of Copenhagen have demonstrated how stem cells can be used to produce insulin-producing cells, paving the way for more effective treatments for diabetics. 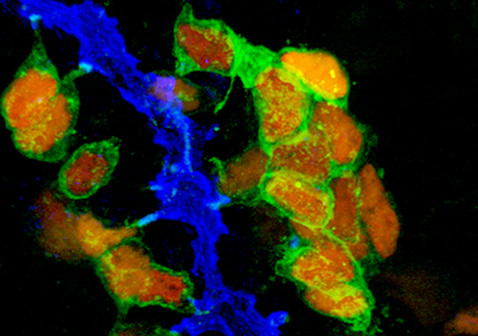 Professor Thomas Meyer and colleagues revealed a new mechanism of stomach gland regeneration and the effect that Helicobacter pylori infection can have on this process. Researchers from the Perelman School of Medicine have discovered new details of lung cell molecular pathways involved in repair and regeneration. 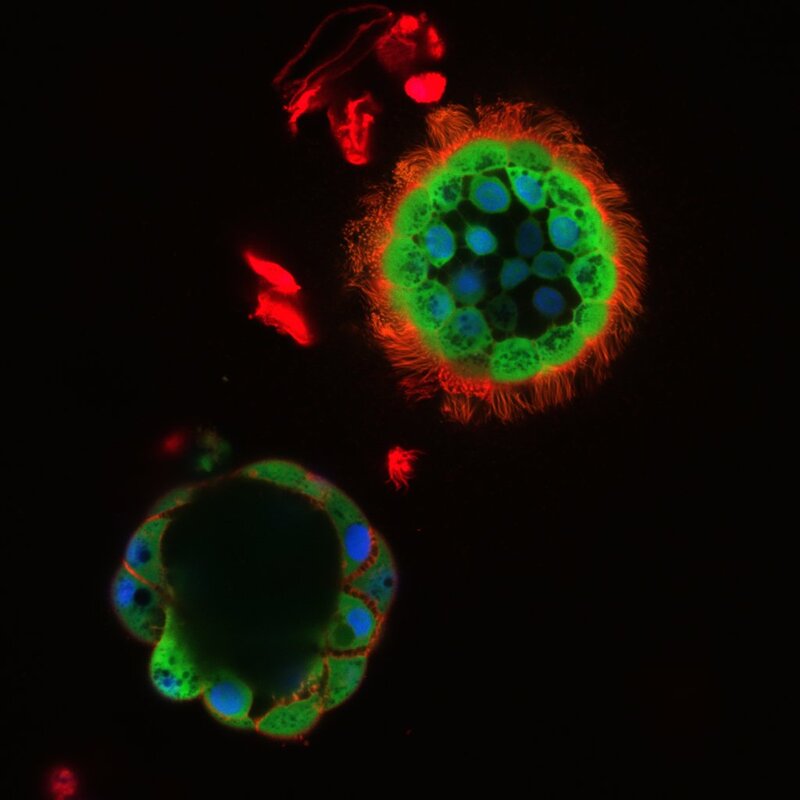 A team of researchers from UNC have discovered that nasospheroids, small balls formed from nasal cells, are filled with fluid that can help study how a patient will respond to CFTR drugs. 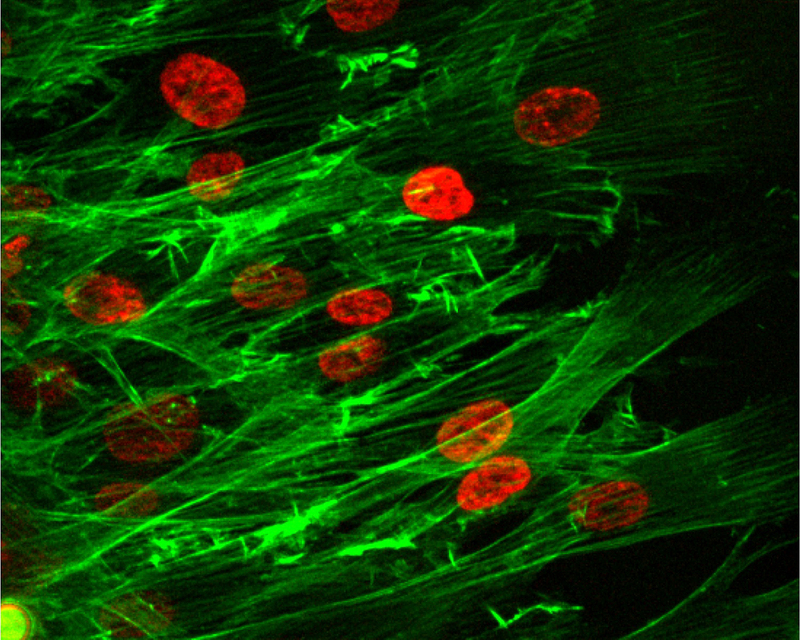 Researchers from the Karolinska Institutet have demonstrated a new way to distinguish between immature and mature stem cells, by identifying cell surface markers. This is just a small selection of the range of amazing images from 2017. 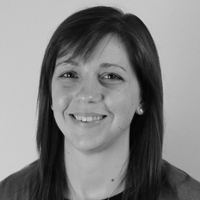 If you have seen any others that you think we should have included, please get in touch we’d love to see them.